2) get two 1TB SSD's, and put O/S and Apps on one and smaller data files on the other. I need a fairly large O/S drive as I have multiple operating systems and copies each. The main consideration is this: would getting two SSD drives provide for perceptively snappier system response compared to putting everything on the same drive? It certainly helps to divide the work when using HDD's so that file opening doesn't bog down the system and vice versa. But I don't know if the same holds true in the world of solid state. Any input would be very helpful. BTW, the SSD's would be Samsung EVO or PRO SATA III in 2.5" form factor. For everyday general computing tasks (Office, Internet, etc), a single SSD drive is all you need. Perceptually, you'll not notice a difference. Perhaps in a benchmark you'll register a blip of something, but again as a human, you won't. Just get a single SSD drive, don't divide and partition it; just install WIndows and away you go. Believe me, I feel the difference! has a raw upstream bandwidth of 2.0 GB/second. is the major limitation on max bandwidth. What mitchm3 said-- for practical, general use a single SSD is easier and probably more reliable. OTOH, if you do have some sort of particularly disk-intensive application, then multiple SSD's (often independent-- i.e. system/boot drive and a scratch disk) might be the way to go, sometimes in RAID, sometimes not. Modern SSD controllers and NAND configuration generally seems to have a 480/500/512GB-class sweet spot for optimal performance so I generally would not recommend smaller SSDs (particularly if you're already shopping with a 2TB size target! 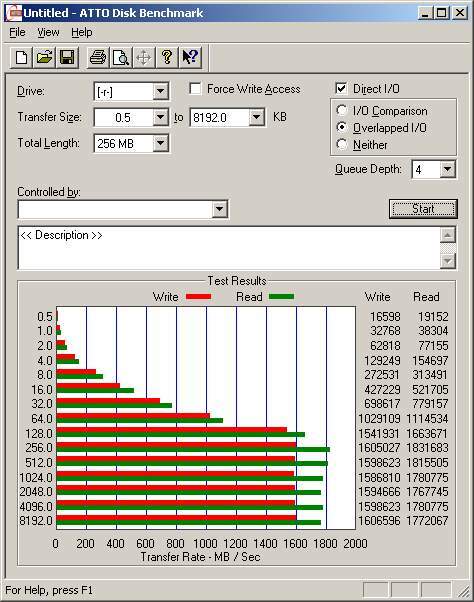 ), although as MRFS does show, some metrics do scale nicely with more SSD's.